Hi folks! One most interesting thing about the breed that is worth talking about here is people’s confusion regarding the name of the breed. I am really tired of explaining people that German Shepherd Dogs and Alsatians are same. Yes my friends, German Shepherd Dogs and Alsatians are same. Learn here how a single breed got varied names. Let’s have a brief look on the history of the breed, spanning back to 18th - 19th centuries. 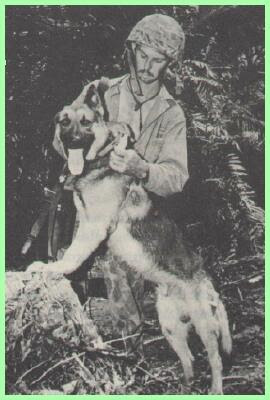 At the end of the World War I, it was feared that the German Shepherd Dogs (GSDs) would fail to maintain its glory and would fail to flourish further if the word “GERMAN” had appeared with its name. This is because, during the World Wars, anything with a reference to Germans was not favored in UK. Hence, to avoid the word “GERMAN” in the name, it was decided to use the name “ALSATIAN WOLF DOG” (Remember -- not simply “ALSATIAN” ). Now the question is – “where did term “ALSATIAN” come from?” Why Alsatian? Why not something else? The word Alsatian was used after the border area of “ALSACE -- LORRAINE”. ALSACE (pronounced as “ALSASS” in German), which is a region of N.E. France, situated between Mountain VOSGES and River RHINE. This area was a long disputed region — disputed by France and Germany, but was annexed by France during the 17th century, by incorporating a section of Lorraine into Germany in the year 1871 as an Imperial Territory of ALSACE – LORRAINE. Captin Max Von Stephanitz(father of the breed: full name -- Rittmeister Max Emil Frederich von Stephanitz) continued working on the d evelopment of the breed. And with the passage of time the breed went on developing and flourishing all over the world with the name "Alsatian Wolf Dog". Later it was felt that the name shouldn’t be supported by any supportive tag. Finally decision was taken to drop off the word “WOLF DOG” that had long been used as a tag along with the name. The breed was finally named simply as “ALSATIAN” (without the tag). Presently this breed is known as German Shepherd Dog in America, Australia and most of the other parts of the world. The term Alsatian is still valid, although in some parts of the world the breed is also known as ALSATIONS instead of ALSATIANS. Great Britain was the first nation to recognize the breed as Alsatian. The German term is DEUTSCHE SCHAFERHUND, which means GERMAN SHEPHERD DOG. The word “Dog” is an integrated part of the breed original name, and shouldn’t be called simply GERMAN SHEPHERD. The German term is also spelled as DEUTSCHER SCAFERHUND – a very subtle difference in the spelling is hereby noticed. During each world war, GSD’s popularity in United States was on a desperate wane. But GSD could regain its lost glory and popularity immediately after the wars, when the courageous, royal Alsatians(German Shepherd Dog) had returned back home in their kingly jest from Europe with their soldier masters. And they became really famous as the war dogs, although they were predominantly a breed of working dogs and were recognized under the working group and herding group. So friends! For God's sake, please don't confuse yourselves with the names of the breed. 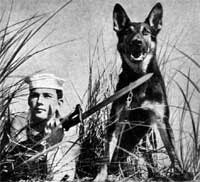 Up next.. lets talk about German Shepherd Dogs in Wars. Keep in Touch.